Have a seat in a restaurant in Japan and you'll encounter one of the many varieties of Japan's national drink. Sencha green tea has exploded in popularity since it was discovered in the early 16th century. The delicate needles unfurl dramatically when infused in hot water. The beautiful green liquid releases an herbaceous aroma that fills the olfactory senses with earthy notes. The tonic excites taste buds with grassy and oceanic flavors. Delve deeper into this traditional Japanese tea and learn how to brew the perfect cup every time. Japan produces some of the world's most popular green teas. Japanese green teas include Sencha, Genmaicha, and matcha tea. Almost 80% of tea harvested in Japan is used for Sencha tea. Sencha tea is made from the leaves of the Camellia sinensis tea plant. This plant is typically cultivated in the Shizuoka province of Japan. Sencha tea is the most popular tea type in Japan. The tea is infused in hot water and typically enjoyed during and after meals. The tea leaves are harvested from the plant, withered and dried naturally. The leaves do not undergo any process of oxidation. 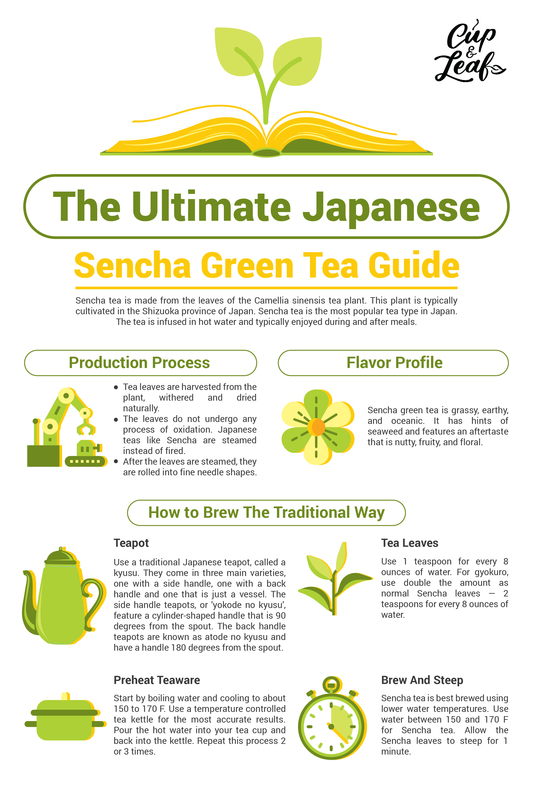 The process to make Sencha green tea is different than that used for Chinese green teas. Chinese teas are typically pan-fired to prevent oxidation. Contrastingly, Japanese teas like Sencha are steamed instead of fired. This results in a more vegetal and earthy flavor. After the leaves are steamed, they are rolled into fine needle shapes. This shape is also characteristic of Japanese teas. The teas are then sorted and blended into loose leaf packages and tea bags. 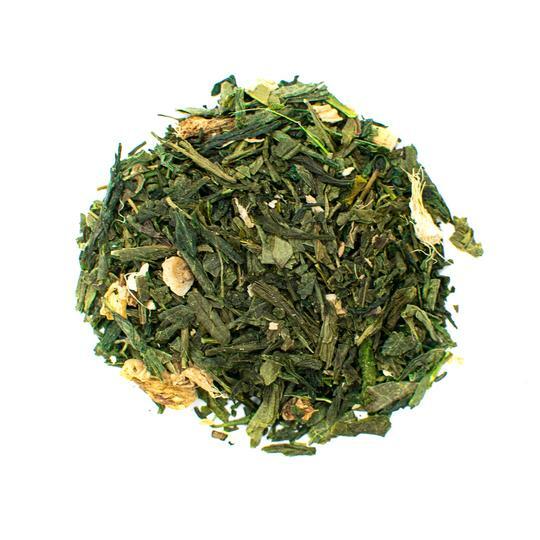 Sencha green tea is uplifting and refreshing. 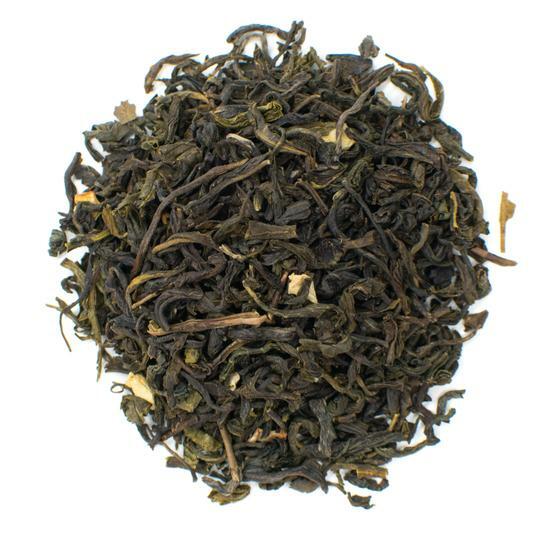 This type of green tea features an aftertaste that is nutty, fruity, and floral. 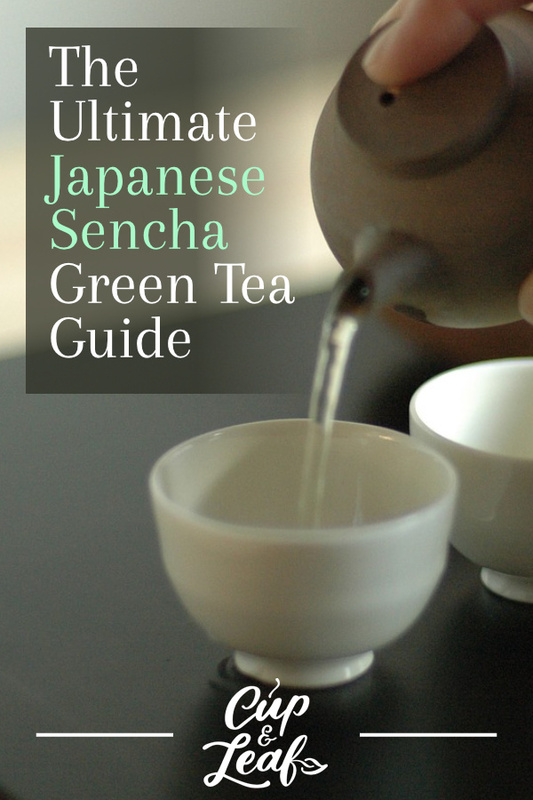 Sencha is described as grassy and earthy. It is also described as oceanic, referencing hints of seaweed in its flavor profile. The tea can range from light green to dark green in color when brewed. 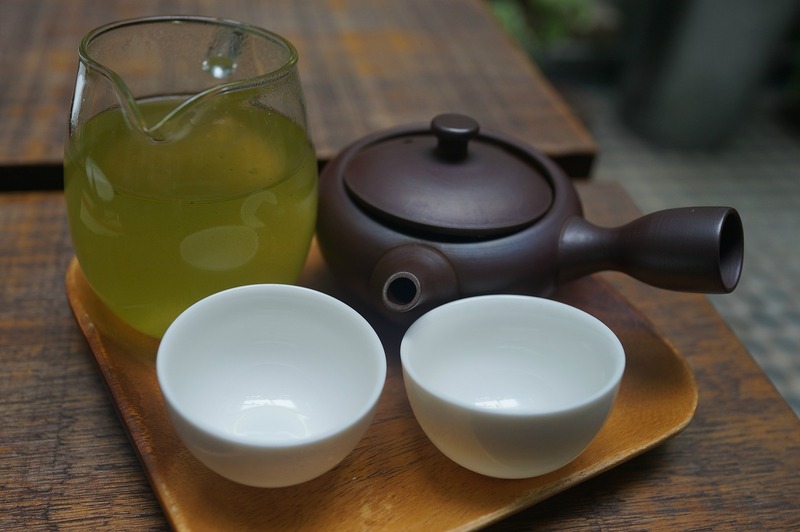 Sencha teas brewed from loose leaves tend to be lighter in color while teas brewed from Sencha powder are darker. Gyokuro is a unique Japanese green tea as it is grown in the shade rather than in the sun like other varieties. It is shaded for about three weeks before the leaves are harvested. The word gyokuro translates to jade dew or jewel dew, which refers to the teas emerald green color when infused. Commonly known as Ichiban-cha or New Tea, this Sencha tea is harvested in the spring. 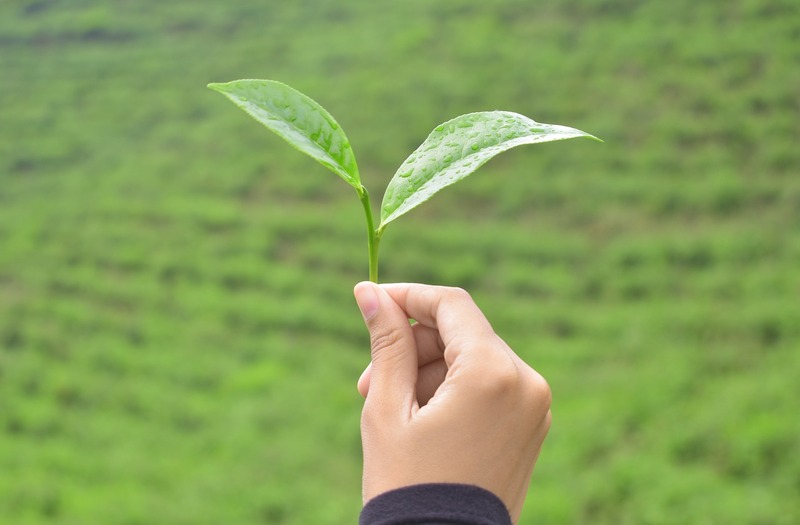 It is the first harvest of Japanese green tea leaves and signals the start of the production season. 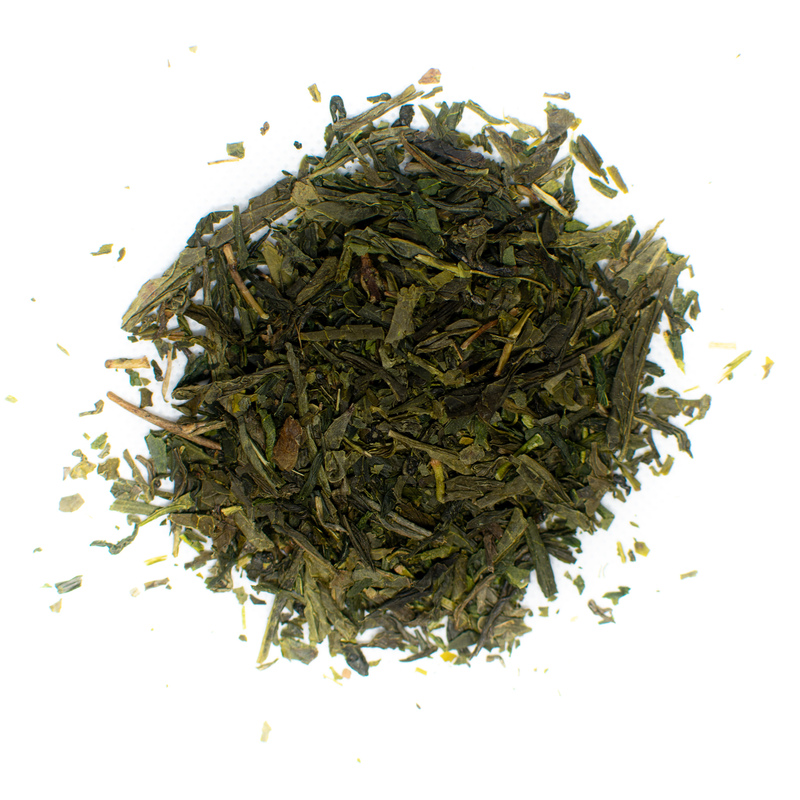 It features a flavor profile that is sweeter and more nuanced than other types of Sencha. It has an umami flavor. Asamushi is only steamed for 30 seconds making it the lightest steamed Japanese green tea. 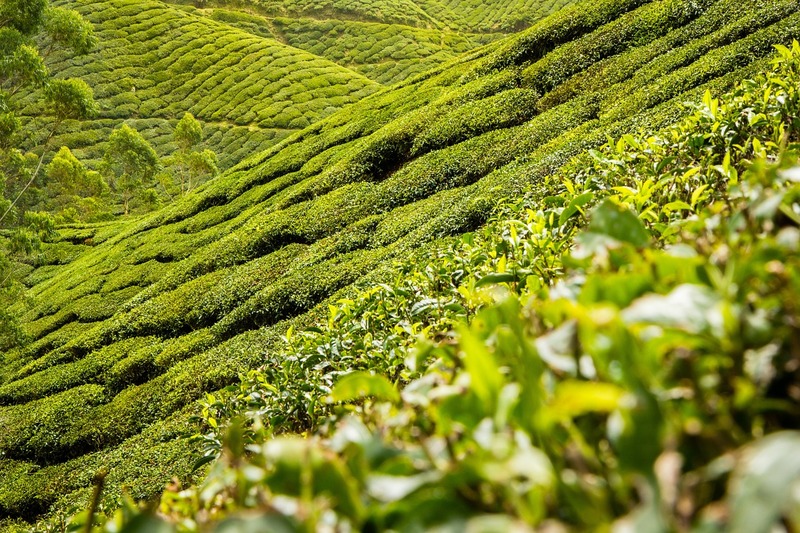 It is one of the least altered green teas and typically features intricate, full leaves. It is light in color and offers a clean and delicate flavor. This variety is steamed for one minute and boasts a stronger flavor and aroma that Asamushi. The flavor is the most traditional of Sencha green teas and serves as a baseline for the other varieties. Fukamushi Sencha is one of the varieties that is steamed the longest. It is steamed for 90 seconds to 2 minutes and thus has more broken leaves than the needle-like Asamushi Sencha. Fukamushi Sencha has a dark, rich color when it is infused. It has one of the more oceanic flavor profiles, which lends a full-bodied, buttery feel. Powdered Sencha is similar to matcha green tea. The leaves are ground into a fin powder that is consumed whole when infuse with water. Unlike Matcha, it isn't shade grown. Its flavor is vegetal and earthy. Uji Sencha is harvested in the Uji region of Japan. This area is known for growing expensive varieties of matcha and gyokuro green teas. One of the most commonly recognized health benefits of green tea is its ability to accelerate weight loss. Compounds in green tea, such as l-theanine, help to increase energy to make your workouts more efficient. These compounds also work to help the small intestine remove body fat stores faster. Green tea also helps to suppress hunger and can reduce overeating. In a scientific review published by Physiology and Behavior, researchers concluded that green tea increases metabolism. The main metabolism-boosting compounds in green tea are catechins. Tea catechins increase the body's ability to oxidize and burn fat. Green tea is also a great substitute for sugary and calorie-packed beverages. Simply reach for a hot or iced cup instead of soda and you'll boost your ability to shed those extra pounds (1). Heart disease is one of the leading causes of death in the United States. Over half a million people die from cardiovascular disease each year. Drinking green tea every day can help you stay healthy and prevent heart problems. One study examined 1,371 men over the age of 40, who regularly consumed green tea. Results showed that regular green tea drinkers had a decreased presence of several indicators that predict heart disease (2). Another study conducted by the Journal of the American Medical Association found evidence of green tea's heart health benefits. The study surveyed 40,530 people in Japan. The results showed that people who regularly consumed at least one cup of green tea a day had lower mortality rates than those who didn't drink green tea (3). Green tea consumption helps protect against vision impairment and disease including glaucoma. These benefits are largely due to the presence of tea catechins and antioxidants. Green tea contains vitamin C, vitamin E, and lutein, which help prevent cell damage to eye tissue. These antioxidants and catechins fight off free radicals that can cause cell degeneration. The National Cancer Institute and the Memorial Sloan Kettering Cancer Center both devote sections of their websites to green tea's cancer fighting research (4)(5). Numerous studies have shown green tea boasts significant anti-cancer agents that both prevent cancer growth and can induce death in cancerous cells. The main component of this benefit is the catechin epigallocatechin gallate or EGCG. Along with amino acids and other polyphenols, green tea works to eliminate free radicals that cause cell damage. Most studies have been conducted in the lab or on animals and human research is ongoing. Green tea is found to be most beneficial in treating breast, lung, skin, and ovarian cancers. Experts suggest drinking 2 to 3 cups of green tea per day can help prevent cancer caused by oxidative stress and UV rays. Sencha green tea leaves require a significant amount of space to unfurl from their needle-like shapes. While it's possible to use a standard western tea cup to brew Sencha, we recommend using a kyusu instead. A kyusu is a traditional Japanese teapot, whose name literally translates to 'tea pot'. They come in three main varieties, one with a side handle, one with a back handle and one that is just a vessel. The side handle teapots, or 'yokode no kyusu', feature a cylinder-shaped handle that is 90 degrees from the spout. The back handle teapots are known as atode no kyusu and have a handle 180 degrees from the spout. The treasure vessel kyusu known as a houhin doesn't have a handle and is used for brewing low temperature Sencha teas such as gyokuro. We recommend using loose tea or Sencha powder to reap the most health benefits from this tea. Tea bags often contain only a few leaves or broken pieces that don't contain all the healthy compounds of the complete tea leaves. Sencha green tea powder is made of pulverized leaves that pack the biggest punch when it comes to healthy green tea. Loose leaves are second in strength since the entire leaf is used for brewing, but not actually consumed. Always try to use organic green tea leaves to avoid contamination of pesticides and chemicals. For loose leaves or powder, use 1 teaspoon for every 8 ounces of water. For gyokuro, use double the amount as normal Sencha leaves — 2 teaspoons for every 8 ounces of water. 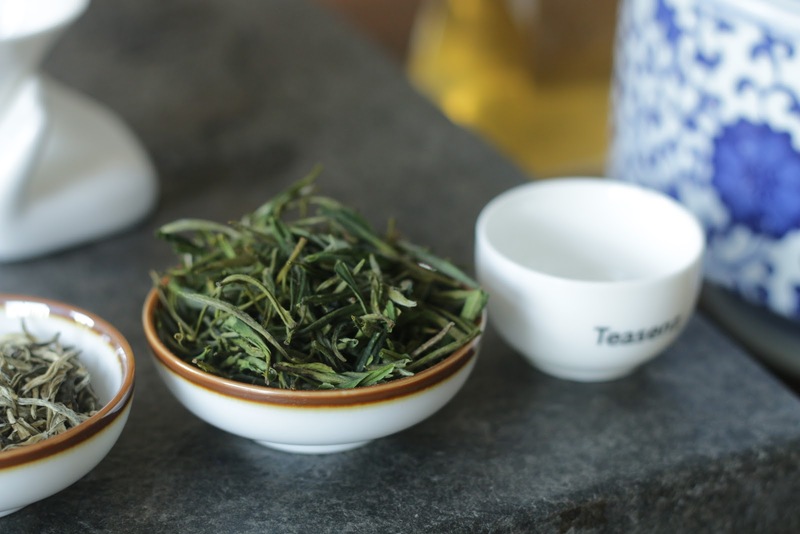 The Sencha brewing process consists of heating the teaware before actually brewing the tea. Start by boiling water and cooling to about 150 to 170 F. You can use a temperature controlled tea kettle for the most accurate results or boil water and use a thermometer. Pour the hot water into your tea cup and back into the kettle. Repeat this process 2 or 3 times. Sencha tea is best brewed using lower water temperatures. Boiling water can result in astringent and bitter flavors. Aim to use water between 150 and 170 F for Sencha tea. Allow the Sencha leaves to steep for 1 minute. Gyokuro and higher quality green teas are best brewed at much lower temperatures — around 104 to 140 F. Gyokuro should steep a little longer so aim for 90 seconds. Finding the best green tea for you takes some trial and error. 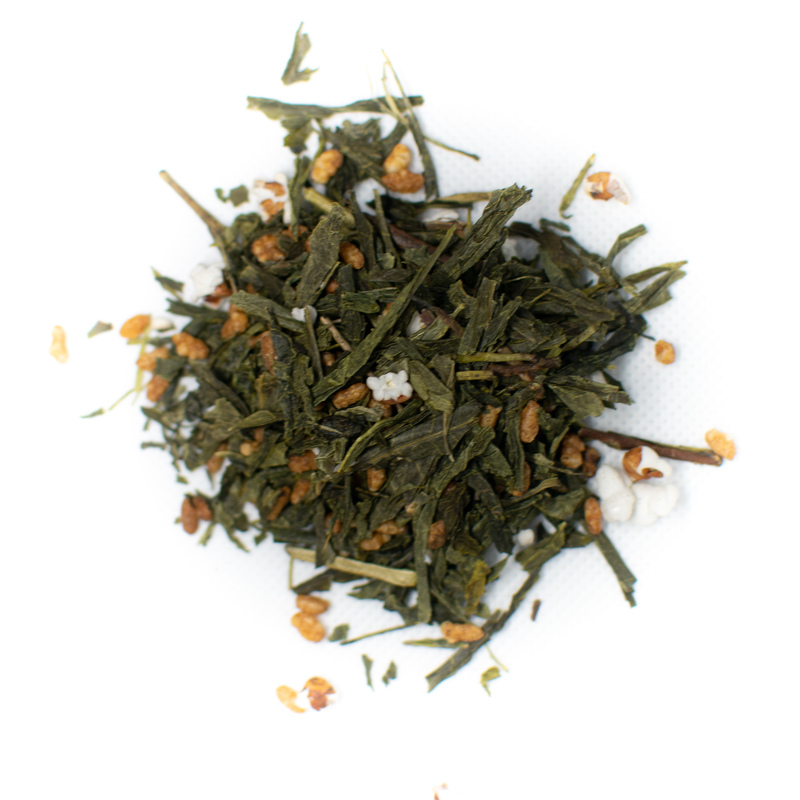 Japanese sencha teas offer a wide variety of flavors and aromas to entice your senses. These teas feature tasting notes that range from seaweed and grass to herbs and vegetables. Perfecting your brewing method can also develop new flavor profiles and enhance your tea drinking experience. Japanese green teas can be consumed hot or cold, making it an ideal beverage year round. Try new varieties and tweak brewing times and temperatures to find the Japanese green tea flavors that please you most.